Newly crowned New Zealand motorcycle champion Avalon Biddle has wasted little time in setting herself a new challenge. Biddle, formerly of Orewa and now living in Christchurch, will be contesting five rounds of the Australian 600 Supersport Championship, starting next weekend (April 26-28) at The Bend in South Australia. The 2019 NZ 600 Supersport Champion will racing a newly prepared Yamaha R6 as part the Gold Coast-based Cube Racing team, in a programme organised by former New Zealand world championship rider Stu Avant, who now lives in Australia. “I met Stu at a race meeting in New Zealand last year when I rode his classic Suzuki RGB500,” Biddle (26) said today. “Don’t be fooled by the smile. Avalon’s done those lonely hard years in Europe,” Avant said from Sydney. “She’s a tough racer. She has the talent and is smart. Biddle’s major New Zealand sponsor MTF Finance is backing her Australian campaign, together with help from Pirelli tyres and Yamaha Australia. 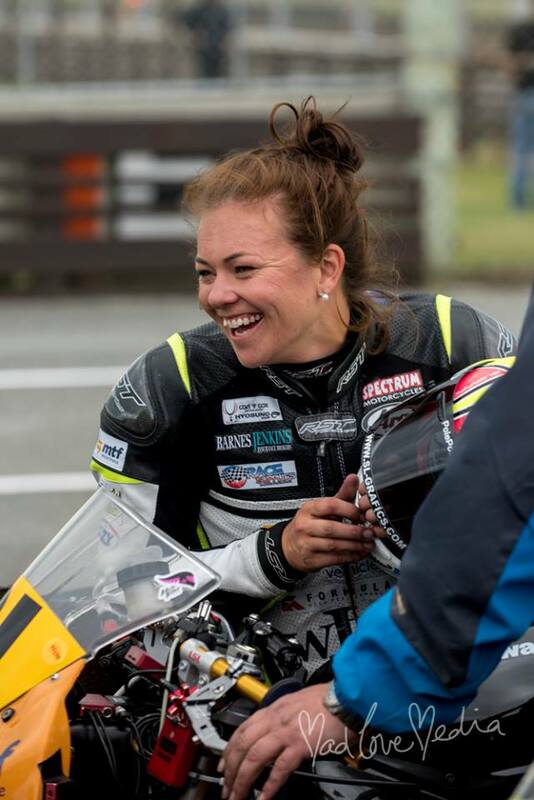 “I’m so grateful for MTF’s support, who see value in continuing to progress my career in motorcycling and inspiring others along the way,” she said. Although Biddle has extensive overseas experience, she has not raced in Australia since a MotoGP Wildcard in the 125cc class at Phillip Island in 2011. She regards it as hugely important to keep racing all year round, and racing in Australia during winter months will hone her racecraft. Her team-mate at Cube Racing will be Oli Bayliss son of former World Superbike Champion Troy Bayliss. “Oli is currently second in the points standings so I feel I’m joining a well-prepared team,” Biddle said. 2019 NZSBK Supersport 600 Champion! It’s is very exciting to say that last weekend, I won the 2019 Supersport 600 Championship. After five challenging race weekends (2 in the South Island & 3 in the North Island), I managed to finish the season with 3 x race wins, many podium finishes and the overall championship win. I am the first female to ever achieve this. Thank you to my sponsors, supporters, fans, friends and family who all made this possible! 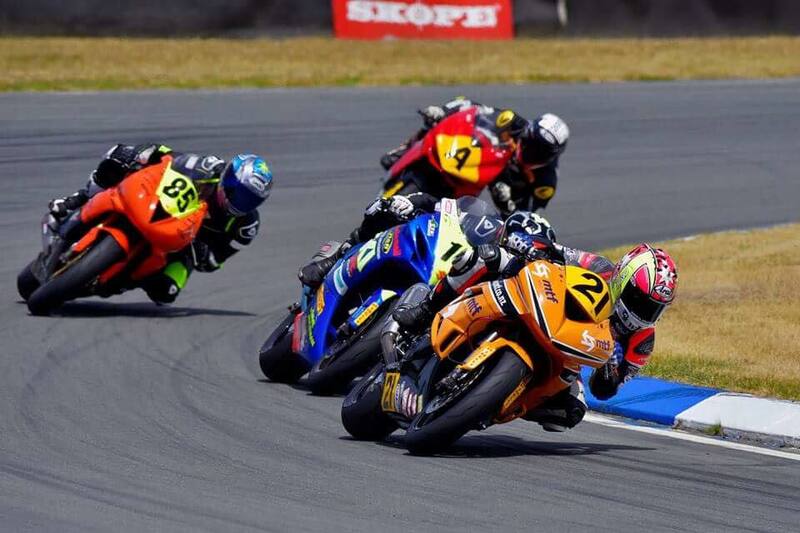 This past weekend was Round 4 of the 2019 NZSBK Championship. Heading into the weekend in Fielding I was sitting in 2nd position overall, 22 points behind the championship lead. My eyes were firmly fixed on reducing this gap to the front, so that we would leave the penultimate round in with a chance of winning the championship at the final in Taupo. What happened next exceeded all my expectations! Friday practise went quite well. To be honest I felt a bit rusty but my lap times were there or thereabouts. On Saturday morning I was able to smash out a good lap time in practise and then set a fantastic lap of 1.07.3 to blitz the competition in qualifying. Starting all three races from 1st on the grid put me in a good mindset and also meant we scored one valuable championship point. We completed Saturday’s proceedings with a 10 lap race in the afternoon, which I led from start to finish & crossed the finish line over four seconds ahead of the next riders. Woohoo! Sunday’s races were scheduled to be a lot longer, 15 and 18 laps respectively. On Sunday morning I stormed to the lead at turn one once again but didnt manage to break away from my championship rival Toby on the opening laps. We exchanged passes a few times which was good fun. Heading into turn one on lap 7, I saw his front end collapse out of the corner of my eye as he crashed heading into the corner. This allowed me to race towards a comfortable win; making it three in a row! Heading into this season I had only won one 600cc supersport race ever, so it still seems kinda surreal. I knew Sunday afternoon’s race would be challenging, as track temperatures soared over 45 degrees. By now my arms were pretty shattered too – Manfeild is a circuit with lots of hard braking and I was feeling the effects of that. Nevertheless, I had to put everything on the line and prove myself what I was capable off. I got off to another good start, this time with good company as two riders were hot on my heels. We passed back and forth a few times and I realised David Hall on the Suzuki had mega pace, must faster than the first few races. After a few dodgy moments on the front end, I decided to just find my own rhythm and see if I could pass on the closing laps. It was not to be as David pulled too much of a gap and I came home second. The superb points haul from two first places and a second place moved me to first overall in the championship, 29 points ahead. At this stage the results are provisional due to a protest (nothing to do with me/my bike) so we will wait for them to be confirmed ahead of the final round of the championship THIS weekend in Taupo! Please contact me if you are keen to get along to this round, otherwise stay tuned on Facebook and www.ctaslive.co.nz where you can keep up with all the action. Wow, there is no shortage of news to share this month! As you will have seen throughout the magazine, the New Zealand racing scene has been ‘flat out’ with events of late. I have honestly been astonished with the spectator turn-out at every event I have been to this summer, be it the Burt Munro in Invercargill or the Ride Forever Shiny Side Up BikeFest in Kapiti. Most notably for me however, was Mike Pero MotoFest at Hampton Downs. Hosting Round three of the NZSBK Championship, along with racing legends from across the world, the Kawasaki trail ride, Motul New Zealand trials display, Shiny Side Up and much more, this event had a TON going on! Six weeks after round two of the championship, the race meeting was a long time coming. I did one day testing at Hampton Downs ahead of the event which left me itching to get back on my MTF Finance ZX6R Supersport bike and racing with the other championship contenders. Heading into the weekend I was nine points behind Toby Summers and one point ahead of Seth Deveroux in the points standings. On Saturday, I took pole position which meant one valuable championship point and a good start to getting closer to that number one spot. On Saturday afternoon it was Toby and I out front for race one. I managed to fight for the lead on the last laps of the race but he passed me back and I had to settle for second on track. A 20 second jump start penalty meant I was later relegated to fifth place for the race. That was my first jump start in 13 years racing! I was determined to not let it affect me mentally and was pleased to lead into the first corner in both races on Sunday; without pulling the trigger to soon. Despite leading into the first corner, in Race 2 on Sunday morning Toby came by early on and showed incredible pace leaving me to finish a distant second. In other words, I got waxed. I wanted to prove to myself I could at least run his pace in Race three on Sunday afternoon (given we are both on the same spec Kawasaki ZX6r’s) so I did everything I could to stay on his rear tire for the entire 15 laps. At times it was tough, but I knew I just had to hang in there lap by lap. By the time we saw the last lap board, both Toby and I were struggling for grip as the tires were overheating. I thought to myself ‘you know what, I’m gonna give this a go’ heading into turn one but my bike wasn’t quite close enough to his. I rode the rest of the lap worried as I couldn’t find another opportunity to get close enough to make the pass. Into the last corner I went in as fast the front tire could manage and thought ‘well, it’s now or never!’ as I opened the throttle to the stop on the exit. Although the rear tire was sliding a lot, my drive was incredible and up the hill I managed to get right beside the #22 bike. I felt like I was being slingshot towards the finish line and we passed the checkered flag side-by-side. On the warm down lap I could see the crowd was really excited and when we arrived into parc ferme there was so many people there cheering. The only problem was, I wasn’t sure who had won! When my mechanic Ozzy said I had taken the win by 0.006 of a second I was overwhelmed. Wow. What a way to end the weekend. This is my third TT title, after taking one on the 125GP bike in 2011 and one Superlite TT in 2015. The result was such a great reward for a lot of hard work and late nights recently. 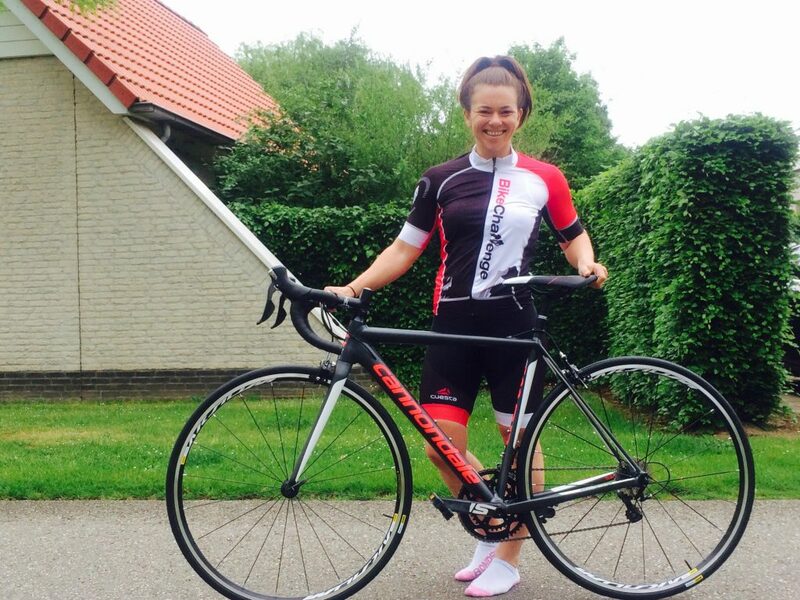 I have been very busy with work, travel, Sky TV appearances and presenting at the Ride Forever Shiny Side Up events, so I was relieved to see that the extra commitments hadn’t negatively affected my race pace or fitness. There is no slowing down before the next round of NZSBK racing at the end of March. We have plans to race in Australia for the remainder of the year creating even more work to do behind the scenes but I know it is all going to worth it! Catch you all next month. It has been a pleasure to meet many of you fans and supporters at some events of late. These have included the Ride Forever Shiny Side Up Bike Festival’s in Nelson and Christchurch, the HSBC Sevens in Hamilton and of course, at the race tracks throughout the country. As you will know, we have now had two rounds of the New Zealand Superbike Championship (NZSBK) in the South Island. The series got off to a perfect start for me as I put the MTF Finance Kawasaki ZX6R on pole position at Mike Pero Motorsport Park for Round 1. Christchurch certainly turned on the weather and I was looking forward to an epic weekend of racing ahead. In race one on Saturday I lead the way for half a lap before Toby Summers snuck by with a close pass into the dipper. I saw we had ‘battle royale’ ensuing and was already working out a plan where to pass him back when the red flags came out on lap two. Unfortunately, the accident was very serious, and the race was stopped for over half an hour to attend to the injured rider meaning we could not restart. On the plus side, the injured rider James Barham got the medical attention he needed and is now making a great recovery from some nasty injuries. We re-grouped for the Sunday’s action, looking forward to two long races. Once again, the 600cc class would miss out as an oil spillage before our race put an end to the event. Throughout all of this I have learnt to keep my cool and not to stress about what you cannot control. Over the past few weeks when things haven’t gone to plan, I have had to concentrate on simply putting on foot in front of the other and just make the most of every situation that presents itself. The following weekend we were in Timaru for Round 2 of the championship at Levels Raceway Timaru. With some mixed weather thrown into the mix, there was no shortage of drama in the 600cc class. I qualified in ninth position on a damp track which left me with a lot of work to do in the races to get to the front. In race 1 I took my time picking riders off one-by-one and finished in 3rd to claim my first podium of the season. Our class had four races in Timaru and I finished three out of four events on the podium, leaving the circuit sitting second overall in the 2019 championship. Just nine points off the lead with nine races still to go, you could say it’s still wide open! 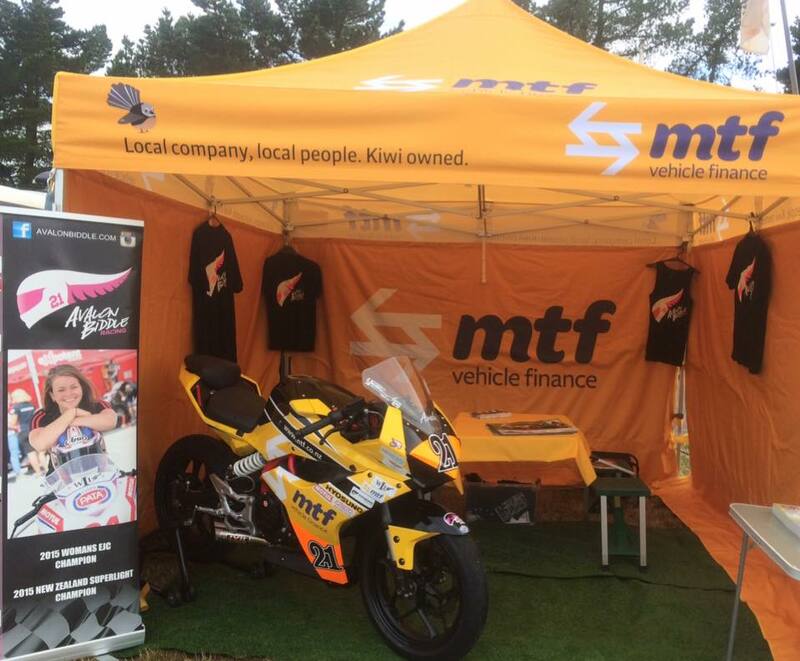 After Timaru, my second race bike was delivered to Hamilton for the Rugby Sevens tournament with MTF Finance. We had a HUGE weekend painting the stands yellow with 10,000 yellow cowboy hats! It was amazing to see so many people (both children and adults) take interest and want a photo with my race bike on display. Events like this are great not only for my sponsors, but also for raising the profile of our sport. Speaking of profile, how can I not mention MotoFest at Hampton Downs which is the next round of the NZSBK championship. To have Simon Crafar, Chris Vermuelen and many other legends at the track and watching our races is going something special. I have engagements on every weekend between now and then, along with work keeping me extremely busy during the week. It has left me worried how I am going to squeeze enough training in to keep this title fight alive. Looks like my 5am gym sessions are here to stay for a while! Once again, thanks for coming to say hello at events. One of the best things about motorcycles is the people you meet who share the same passion for two wheels. I look forward to meeting more of you at events soon. Gosh, do I have some exciting stories to share with you this month! Regular BRM readers will know that we are now into the thick of the NZ road racing season which sees race events nearly every weekend throughout summer. I have been enjoying getting some track time in on my MTF Finance ZX6R and also some air time on television presenting a feature on the Ride Forever New Zealand Motorcycle show for #SkySpeed. It was a real privilege to interview the owners of some beautiful craftsmanship on display in the classic section. In fact, my talking point this month is actually around classic motorcycles and the Mike Pero Southern Classic event which was held in Timaru at the beginning of December. There, I was lucky enough to achieve a milestone event as I had the privilege of riding parade laps aboard a Suzuki RGB500. Yes, a REAL 500cc two stroke Grand Prix motorcycle! To ride one of these spectacular machines alongside legends such as Aaron Slight, John Woodley, Kevin Magee and Graeme Crosby is the stuff dreams are made of. I couldn’t have been more grateful to be given the opportunity, although admittedly I was very nervous due to how much these bikes are worth nowadays. Especially in front of over 200 fellow competitors (many of whom were very jealous) and a great crowd of spectators – I would have hated for something to go wrong. Fortunately, the experience was nothing short of magical. The ride came about as the motorcycle is owned by Paul Edwards of Australia who also ran a development race series I competed in across the Tasman back when I was 14 years old. ‘Woody’ has followed my progress since then and as he wasn’t able to make it over for this event at Levels Raceway, he thought I would be a great candidate to ride the bike. I was over the moon to be given the opportunity not only to ride, but also to work with ex grand prix superstars like Stu Avant and Mike Sinclair. Thankfully, I have a fair bit of experience with two stroke race bikes so I had a rough idea of what it would be like. Gnarly powerbands, great brakes and sharp turning are the general characteristics you would expect. Well, the 500 was all that… and more! Boy, was it quick in a straight line. Compared to the 600cc I ride nowadays, this felt much quicker and obviously tipped into corners better being considerably lighter and with no engine braking like a four stroke. The 500 was much less forgiving, however! It would only take for you to be a little off line or open the gas a fraction too hard and I can see how it would turn pear-shaped very quickly. Most of us can only imagine the thrill of racing one of these handlebar-to-handlebar in the world championship at fast circuits like Phillip Island or Mugello. We did get to hear what it was like via some epic stories from the legends told at the dinner on Saturday night, however. What a crack up. I believe they will have another of these dinner events at Hampton Downs Motofest in February 2019 – do yourself a favor and come along! I promise you will not regret it. Throughout the weekend I also raced a 250cc in the two stroke race class. Our friend Brent Garvin prepared seven 250 production bikes for some lucky riders to compete on. They really looked the part done up in the old Pepsi, Lucky Strike and Red Bull liveries from back in the day. I loved every second racing that bike and even lead a few laps before finishing second in one race. My favourite was on Sunday morning when we went out on wets but the track dried up so quick that we were sliding our way around a dry track as the tires melted. It felt a bit like flat tracking and boy was it fun! Expensive fun…. As much as I love getting out on the two-strokes, I’m relieved to have made it through that weekend in one piece and get back to main my focus this year – 600 supersport racing. Tune in next month to hear about racing at the Suzuki series! This past month has seen me back on my MTF Finance Kawasaki ZX6R, finally! After not riding the 600cc road race machine all winter, I got myself out to Mike Pero Motorsport Park for a spin in late October – seven months after my last ride on this motorcycle at the final round of NZSBK back in March. It felt so good to get back on my own race bike and flowing through the corners again. I thought the 120 horsepower might be a shock after riding around on my 30 horsepower KX100 dirt bike and the Ninja 300, but I was impressed how quickly my brain got back up to speed. I guess I have competed on the 600cc for enough years now that it’s beginning to come much easier. Without a lap timer I have no idea what my lap times were, but I’m sure the true pace will be revealed very soon at a one hour endurance race on November 24th back at the same circuit. There is still plenty of time to get up to speed before the New Zealand Championship kicks off in January however, so I’m more focused on building up confidence and bike fitness at this stage of the pre-season. On top of racing, there is a ton going on behind the scenes to make these on track exploits possible. I am working hard on some advertising campaigns with MTF Finance and gearing up for some filming with SKYspeed, all to be released in December. Additionally, last weekend I flew up to Auckland for the MTF Finance annual conference which was hosted by Jeremy Corbett. What a laugh! The MTF franchise owners are such a superb bunch; I can truly vouch for their positive energy around their business efforts and honestly, I take as much inspiration from them as they do from me. On Sunday we all headed out to Pukekohe for the V8 Supercars event which was also a great time. Between racing, work, sponsor commitments and a bit of motocross training, I honestly think I have spent at least one day of every weekend this year at a race track. Sometimes four wheels and sometimes two, there has certainly been plenty of power and petrol involved! It has been very interesting for me to notice the difference between the varying forms of motorsport I am involved with. One thing I can say about motorcycle road racing is that it is accessible to anyone who is determined enough to get on track. While other sports may come across more ‘professional’ with live television coverage and state-of-the-art vehicles, the associated increase in costs for competing in these sports make it horrifically expensive. For a seaon in even the lower categories of circuit racing on four wheels drivers are paying over $100,000 NZD to go racing! It makes the $1500 entry fee to compete in five rounds of the national superbike championship look pretty achievable really. That leads to another of my objectives this summer – to encourage more road riders to the track over summer to give track days (or even racing) a shot. I will be a guest speaker at the Shiny Side up motorcycle events in Kapiti, Nelson and Christchurch to talk about increasing your skill base and riding technique. I’m a huge advocate for rider safety, having broken 10 bones I would like to use my ‘learning experiences to prevent similar happening to others! If you haven’t already tried a track day why not give it a shot? It’s a much safer environment to learn new skills than trying to do so on the public roads. Taking a step up to race in the all-new World Supersport 300 championship is an exciting prospect for the well-experienced Kiwi. Biddle, who has won the FIM European Women’s Cup for the past two years running, will now be competing amongst some of the fastest males in the world as one of only two females entered in the whole World Superbike Championship which kicks off in April. Below is an update sent out to Avalon’s supporters following the opening two rounds of the 2017 New Zealand Superbike Championship, where she is racing the MTF Vehicle Finance ZX6R in the Supersport 600 class. The first weekend in January 2017 saw the opening round of the New Zealand Superbike championship at Ruapuna, Christchurch. We arrived in town Wednesday night ready for a busy weekend, kicking off with an extra practise day on Thursday as well as the usual full day riding on Friday. To be honest, the weekend got off to a terrible start as over these two days we encountered many handling issues with the bike. These including a non-operating rear shock absorber and rusty steering head bearings which are fairly major issues! Nevertheless, we managed to resolve most of the issues step by step as the weekend went on, and eventually made some progress in the right direction. By the time qualifying came around on Saturday we were more-or-less on top of things and I went out to secure 10th position on the grid. I wasn’t overly happy with this, but it certainly could be worse due to the particularly strong 24 rider line-up in my class (600cc Supersport). In race 1 Saturday afternoon I got off to a flyer of a start, holding 4th position on the opening laps and then battling with a few riders for the race duration, finishing up in 7th place. We were pretty stoked with this result as it was a great salvage after how dreary things were looking the day prior! Races 2 & 3 were held on Sunday over 15 & 20 laps respectively. With Ruapuna being a very physical circuit I knew it would be difficult to maintain pace for the whole race and tried to stay as focused yet relaxed as possible throughout the day. Race 1 was another cracker finishing in 7th position, and in the 20 lap Grand Prix in the afternoon I managed 8th. Overall it was a really enjoyable weekend racing at Mike Pero Motorsport Park and I knew we were heading to the next round in Invercargill with a much better bike and better prepared rider. Invercargill, well is Invercargill, and despite being my favourite circuits layout in the country, the summer weather gods certainly weren’t on our side this weekend. Extremely gusty winds and rain all week made it difficult to keep the MTF pit shade down, let alone actually ride in these conditions. Teretonga’s fast, flowing nature is particularly hard on tires meaning a good bike/suspension set-up is critical to a good race result. Practise went much better than the previous weekend and all was looking great for a top 5 finish until Saturday morning when… clacker clacker crunch crunch went my engine!! Not the noise any racer (or mechanic) wants to hear. Fortunately one of my fellow competitors had a spare engine he was able to lend, and my mechanic Ozzy and Kawasaki expert Seth Deveroux managed to do a full engine swap in 1.5 hours! As we got the 5 minute call up for qualifying I saw that they bike was going to be ready and suited up for the session, determined not to let this set-back hinder our progress. The engine was a lot slower than my original one but I still went out and set my fastest lap of the weekend immediately, before being black-flagged because one of the flag marshals claimed to see fluid coming out of my bike. I pitted and by the time they looked over it and saw nothing was wrong, my tires had cooled down and it was pointless to head back out (we have to use the same tires for qualifying and Race 1). I was happy with my lap time anyway and ended up 6th on the grid, closing out the 2nd row. Race one held later in the afternoon was interesting with spots of rain for the first few laps. I was extremely proud of what we achieved finishing in 4th position – my best result on the 600 yet! A great result when just a few hours earlier our weekend could have been all over. Sunday bought glorious sunshine in the morning, abruptly followed by a heavy downpour right before the racing started. This meant our first race was held in wet conditions (which I don’t particularly enjoy to be honest) and I finished in 9th place. We were happy just to finish however as my last few outings in wet weather conditions haven’t ended with me actually on the bike. By the afternoon, heavy winds had dried the circuit out and I went on to have my best race of the year in race three for the weekend. Being inside the top 3 on the opening lap was a huge confidence boost and I managed to maintain the fast pace for the whole 20 laps, battling, funnily enough, with my boyfriend Jake. I rode around the outside of him at turn 1 which would definitely get the vote for ‘fan favourite pass of the year’! haha. We had a good duel for two laps but he was much stronger on the brakes and passed me back once and for all with a few laps to go. I finished up with another 4th place and took home bragging rights as I set the third fastest lap of the race, just 0.3 off the new lap record set in the same race. I traveled home from the South Island on such a high – even with the broken engine in the back of the van. It was a successful and productive couple of weekend’s racing, consistently moving forwards and getting so close to a podium in one of the premier classes of racing. To finish a race (or two) inside the top three is now a very realistic goal for the upcoming North Island rounds of the championship. The engine is being repaired and will be back on track for round 3 of the championship to be staged at Taupo Motorsport Park on the 25th and 26th Feb. Between now and then is of course the MTF sponsored Wellington Seven’s where I’m looking forward to being part of the MTF Vehicle Finance display. Hope to see some of you there!